Welcome to Glaston Investor Relations pages! The investor pages are intended to offer information on Glaston as an investment and to support the correct valuation of the company’s share. For general information on Glaston, please click here. Glaston has refined its strategy for 2018–2021 to better meet its customers’ needs. While the core of the strategy remains unchanged, some refinements and adjustments have been made. What has been refined in the strategy? We focus on our core Heat Treatment technologies and Services and evaluate divestment opportunities of non-core businesses. Emerging Technologies play a strong role in our development and brings growth potential. We continue to look for new emerging technologies and pioneering companies to develop and commercialize smart glass innovations. We will step up the level of digitalization and automation in our products and services for the benefit of our customers. The emphasis is placed on increasing the level of automation in new equipment and optimizing installation performance throughout the lifecycle, using data analytics and artificial intelligence. The glass processing technology industry is fragmented, with many small players. We will explore M&A opportunities, especially in the areas of glass processing equipment, services and software. As a market leader, our role is to drive market development. In addition, Glaston seeks growth by exploring M&A opportunities, especially in glass processing industry equipment, services and software areas. Glaston’s outlook is unchanged. We expect the full-year comparable operating profit to improve from 2017. (Full-year 2017 comparable operating profit was EUR 5.0 million according to the new revenue recognition standard IFRS 15). Glaston’s outlook has remained unchanged. We expect the full-year comparable operating profit to improve from 2017. (Full-year 2017 comparable operating profit was EUR 5.0 million according to the new revenue recognition standard IFRS 15). The steady order intake of the previous six months and positive market development create good conditions for profitable growth in 2018. We expect the full-year comparable operating profit to improve from 2017. (Full-year 2017 comparable operating profit was EUR 5.0 million according to the new revenue recognition standard IFRS 15). 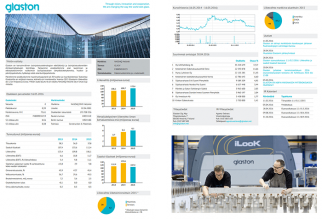 Glaston’s January–September comparable operating result was EUR 2.8 million, i.e. at the same level as the whole of 2016. Previously, the full-year 2017 comparable operating result was expected to improve from 2016. After a quiet first quarter, the glass processing market became more active to some extent in the second quarter. The prolonged uncertainty in the global economy and increasing political tensions in some regions are impacting customers’ willingness to invest, and decision-making times have lengthened. There are no visible signs of a permanent change in the market, however. We expect the positive market development to continue. In the first quarter of 2017, the glass processing market was quiet, as anticipated. The prolonged uncertainty in the global economy and increasing political tensions in some regions will impact customers’ willingness to invest, and decision-making times have lengthened. There are no visible signs of a permanent change in the market, however. We expect that positive market development will still continue. The development of the glass processing market was positive at the end of 2016. There are currently no signs of a weakening of the market, and positive development is expected to continue. Despite good demand, customers are often taking longer to make their investment decisions due to the uncertain global economy and political developments. A higher order book than the previous year, positive market development and the cost-saving measures undertaken create good conditions for the development of operations in 2017. For the first quarter, a relatively small number of deliveries are scheduled, as a result of which the comparable operating result for the period is expected to be lower than the corresponding period a year earlier. In the final quarter of the year, the glass processing market is expected to develop positively and new machine orders to grow markedly compared with the third quarter. The good second-quarter order intake and the large number of deliveries scheduled for the fourth quarter will increase net sales considerably in the latter part of the year compared with previous quarters. The savings measures undertaken will also have a positive impact on the result. Glaston revised its outlook on 4 August 2016. Glaston expects 2016 net sales to be approximately EUR 105–110 million and the comparable operating profit to be approximately EUR 2–4 million. (In 2015 net sales were EUR 123.4 million and comparable operating profit was EUR 6.1 million). In the second half of the year, the glass processing market is expected to remain challenging as economic uncertainty continues. In Europe, a deterioration of the economic outlook and increased instability in the operating environment will be reflected in customers’ investment decisions. Despite this, Central and Eastern Europe offer growth opportunities. We expect stable development in the North American market. In South America, the market will remain quiet, particularly in Brazil. In the Asian market, we expect cautious growth. Glaston expects 2016 net sales to be approximately EUR 105 – 110 million and the comparable operating profit to be approximately EUR 2 – 4 million. (In 2015 net sales were EUR 123.4 million and comparable operating profit was EUR 6.1 million). Glaston still expects the overall market to develop on a cautiously positive note. The North American market and the EMEA area are expected to develop positively. We expect the Asian markets to remain stable at their current level. In China, market activity continues to be low. In South America, market continues to be subdued, particularly in Brazil. In the heat treatment machines market, no significant changes are anticipated, and we expect demand for heat treatment machines to remain at the previous year’s level. The outlook for the services market continues to be cautiously positive. Glaston’s outlook remains unchanged. Due to the subdued market situation and the reduced order book, we expect 2016 net sales to be slightly below the 2015 level. We expect the operating profit, excluding non-recurring items, to be at the 2015 level. (In 2015 net sales were EUR 123.4 million and comparable operating profit, excluding non-recurring items, was EUR 6.1 million). In the final quarter of 2015, signs of caution appeared in Glaston’s markets. Looking at 2016, we expect the overall market to develop positively but cautiously. We expect the North American market to continue to develop well also in 2016. We expect the EMEA area to develop positively. In Asia, we expect the Chinese market to remain stable at its current level, and we expect growth in the Pacific area. The heat treatment machines market will continue to be reasonably subdued. We expect that demand for new heat treatment machines will be weaker than the previous year during the early part of the year. Despite a challenging market outlook, Glaston’s position in the market is good. Our wide product range corresponds excellently with customers’ needs. As the technology leader, we will continue our goal-oriented development work, in which digitalisation and new technologies will present new business opportunities. The outlook for the services market is cautiously positive. Our growth objectives are supported by Glaston’s strong market position, comprehensive service network and up-to-date product range. Due to the subdued market situation and reduced order book, we expect 2016 net sales to be slightly below the 2015 level. We expect the operating profit, excluding non-recurring items, to be at the 2015 level. (In 2015 net sales were EUR 123.4 million and operating profit, excluding non-recurring items, was EUR 6.1 million). Glaston’s operations are divided into the Machines and Services business areas. Our products and services are mainly oriented towards the construction, appliance, automotive and solar industries. Glaston’s Machines business’ product portfolio covers a wide and technologically advanced range of glass processing machines for the flat tempering, bending, bending-tempering and laminating of glass. Flat tempering machines are the most significant product group and the FC Series™ tempering line has a strong position in the market. The renewed ProL™ laminating line has been well received by Glaston’s customers. A strong market position, broad product portfolio, strong customer relations and diverse development work will take the Machines business forward in the direction shown by the Glaston’s strategy. In 2018 the Machines’ net sales totalled EUR 65.2 million. Glaston’s Services business provides glass processing machine maintenance services, machine upgrades and modernisations and spare parts required in glass working. The Services business’ remote monitoring and diagnostics services as well as training and consulting help customers improve the efficiency of their processes. Glaston’s offering ensures uninterrupted production capacity for our customers and efficient usage throughout a machine’s lifecycle. Our comprehensive service network is one of the most important factors in our competitiveness. In 2018 Services’ net sales totalled EUR 37.6 million. Glaston’s technology leadership is based on continuous, customer-oriented product development, enabling us to consistently bring to the market more advanced technology to meet customers’ changing needs. Our product development is guided by the development of solutions requiring deeper technological expertise and by new business opportunities presented by digitalisation. Our position is particularly strong in developing technologically demanding products. The most advanced glass processing machines developed by Glaston have risen to the status of standards in many countries. We hold patents for all of our key solutions. The energy saving and energy consumption of tempering machines have been important drivers of Glaston’s product development. This work has yielded results, as a comprehensive analysis made in the autumn showed, for example, that in the low-emissivity glass tempering process, energy consumption has decreased by an average of 30% over the past 10 years. In 2018, our R&D expenditure was 3.7% of net sales. Glaston utilises new technology and the opportunities presented by digitalisation to develop products and make them better, more efficient and more reliable. Glaston brings to glass manufacturing new sensor, processing, interface and cloud service technologies. By utilising cloud services and opportunities offered by IIoT, Glaston helps its customers use their equipment as efficiently as possible. Glaston has been involved in a nanotechnology project in California since the latter part of 2015. Heliotrope Technologies is developing for the market a new electrochromic smart glass technology, which gives end-users the opportunity of regulating, for example, the heat and light transmittance of glass in a building or vehicle, precisely and quickly. A further advantage over solutions already on the market is significantly lower production costs. Glaston is a frontrunner in glass industry technologies and services, responding globally to the glass processing needs of the architectural, solar, appliance and automotive industries. Demand for Glaston’s products and services is dependent on demand for glass and glass processors’ capacity. Demand for glass is expected to grow by around 3–5% annually in the coming years. Demand for smart glass is expected to grow by 12–15 %. In line with our growth strategy, Glaston is increasing its investment in product development and emerging technologies. In 2018 R&D expenditure was approximately 3.7% of net sales. Our technology leadership is based on continuous, customer-oriented product development, enabling us to consistently bring to the market more advanced technology to meet customers’ changing needs. At the heart of product development is digitalisation, which facilitates the shift towards automatic glass processing. Innovative glass technologies and digitalisation will bring significant new business opportunities. A frontrunner in its field, Glaston established in January 2017 the Emerging Technologies unit, which offers consulting and engineering services for smart glass and energy glass window production as well as solar energy applications. The unit also sells and delivers the required production lines. Glaston is involved in active discussions with a number of companies on developing new glass technologies and their practical application. Glaston’s role in possible future projects may include, for example, advanced glass coatings for automotive and aviation industry products or the development and assembly of production lines for glass-related solar energy applications. 1981 Tamglass Oy Acquisition Kyro acquires the entire share stock of Tamglass Oy, founded in 1970. Exports already account for 93 % of Tamglass’ net sales of FIM 54.7 million and the company has 148 employees. Kyro becomes a diversified company. 1985 Tecnomen Acquisition Kyro expands its electronics business by acquiring Tecnomen, which supplies Tamglass with automation and control systems. The company also operates in the field of telecommunications. 1986 Glaston forest holdings and local electricity network Divestment The company sells its forest holdings to Suomi-Salama and its local electricity distribution network to Oy Nokia Ab. 1995 Glaston’s forest industry business Divestment Kyro sells its forest industry business to Metsä-Serla Oy, amid a major restructuring of the entire sector. 1996 Cattin Machines Acquisition Cattin Machines, a Swiss manufacturer of safety glass machines, is acquired for the Tamglass Group. 2002 Finton Oy Acquisition The Tamglass Group’s glass processing business is supplemented by the balcony glazing manufacturer Finton Oy from Lahti Finland. 2002 Uniglass Oy Acquisition The Tamglass Group’s machine business is supplemented by the flat tempering machine manufacturer Uniglass Oy from Tampere Finland. 2003 Z. Bavelloni Immobiliare S.p.A. and Glasto Holding B.V. as well as Suomen Lämpölasi Oy Acquisition Kyro acquires Italian Z. Bavelloni Immobiliare S.p.A’s and Dutch Glasto Holding B.V’s all share as well as a majority shareholding in Suomen Lämpölasi Oy. Glaston Technologies, consisting of Tamglass and Bavelloni, becomes the world’s largest comprehensive supplier of glass processing machines, and its glass processing product range becomes the biggest in Finland. 2005 Glaston’s hydropower and district heat distribution businesses Divestment At the end of the year, the Group sells its hydropower and district heat distribution businesses. 2007 Glaston’s Energy Business Divestment Kyro sells its energy business area to M-real Oyj. 2007 A+W Software AG Group Acquisition Glaston acquires the German A+W Software Group in July 2007, after which the Business Area, Software Solutions, is formed. 2009 Tamglass Glass’s insulated and architectural glass processing operations Divestment Glaston Corporation’s subsidiary Tamglass Glass Processing Ltd. sells its insulated and architectural glass processing operations to INTERPANE Glass Oy. 2010 Glass processing operations Divestment Glaston’s joint venture, the glass processing company INTERPANE Glass Oy, is sold to Rakla Finland Oy. 2013 A+W Software GmbH Divestment Glaston sells A+W Software to Constellation Software Inc. acting through its Friedman Operating Group. 2014 Glassrobots Acquisition Glaston acquires the industrial property rights to all Glassrobots products. 2015 Pre-processing machines business Divestment Glaston sells 100% of the shares of Glaston Italy S.p.A. to the local management of Glaston Italy S.p.A.
2017 Pre-processing machines business in USA and Canada Divestment Glaston continues as a reseller of Bavelloni’s Pre-Processing machines in Mexico, Brazil and Singapore. 2018 Tools business Divestment Glaston sells its Tools business to Italian Bavelloni S.p.A. The sale is carried out through a share deal of Glaston Tools S.r.l in Italy. Glaston is a frontrunner in glass industry technologies and services, responding globally to the glass processing needs of the architectural, solar, appliance and automotive industries. Demand for Glaston’s products and services is dependent on demand for glass and glass processors’ capacity. Demand for glass is expected to grow by around 3–5% annually in the coming years. Demand for smart glass is expected to grow by 12–15 %. Use of glass in construction is increasing through urbanization. Special requirements for glass are growing due to changing environmental factors, increasing safety regulations and energy-efficiency demands. In the automotive industry, the relative proportion of glass in vehicles is growing and use of thin glass, in particular, is increasing. Growth of solar energy, intelligent glass and energy-efficient glass packages is being supported by increasing environmental awareness and investments in renewable energy. Most, i.e. around 80%, of glass produced with Glaston’s technology is supplied to the building industry, around 10% to the automotive industry, and the remaining 10% to the appliance industry. Glaston operates in a global market, and the company’s business is to a large extent linked to trends in global investment demand. Glaston has divided its market areas into EMEA, America, and Asia. The EMEA area has traditionally been a strong market for Glaston and in 2018, it generated approximately 54% of Glaston’s net sales. In 2018 Americas’ share of the company’s total revenue was approximately 27% and Asia’s share 19%. Euro area growth weakened slightly towards the end of 2018. Trade policy tensions and the long-running and confusing Brexit situation further increased uncertainty. In Central Europe, and particularly in Germany and Austria, glass processing investment activity continued to be good, however. Tightening of Finland’s operational safety regulations for glass structures increased demand and investment. The situation in Turkey remained unchanged, and no change is expected before the 2019 local elections. The European Commission forecasts that euro area growth will continue, but will decline slightly in 2019. Growth is supported, in particular, by Austria, Germany and Netherlands. Construction in Germany is projected to grow at an average rate of 5% annually, and the planned tightening of safety glass regulations will increase demand for safety glass and laminated glass in particular. Glass processing investment activity in Eastern Europe is expected to remain good, particularly in Poland. The Asia-Pacific area is expected to be the fastest growing market area for glass processing in the coming years. The Chinese glass industry market is the largest in the Asia-Pacific area. Price competition is intense and local operators have a significant competitive advantage in a cost-conscious market. Glaston has developed a competitive product for the Chinese market, which the company began to market at the beginning of 2019. In 2018, the markets in South-East Asia developed positively and, particularly in the Philippines, Indonesia, Thailand and Vietnam, interest in energy-efficient glass solutions was good. In India and its neighboring markets, development was steady. Market activity and demand, both for new glass processing machines and modernizations, were good in Australia and New Zealand during the review period. In 2018, confidence in the US economic outlook continued to be strong in the fourth quarter, and GDP development continued to be good. Demand in Glaston’s market and customers’ willingness to invest clearly picked up in the review period. In Glaston’s assessment, tightening building regulations and higher quality requirements for glass supported demand for Glaston’s products. In addition, a tax reform that entered into effect in the USA at the beginning of last year, which will accelerate tax write-offs on investments, is expected to have a positive impact on customers’ willingness to investment. In 2018, the challenges continued in the Mexico, Central America and South America markets. The glass technology market is still fragmented and Glaston has many competitors. However, due to the challenging market situation, consolidation has accelerated in recent years. In the Machines business area, Glaston is one of the world’s leading operators. In this business area, Glaston is able to offer its customers the widest product range and service offering on the market. In the Services business area, Glaston’s customer service network is the sector’s most extensive both geographically and in terms of personnel. There are more than 20 service locations. In addition, the service range provided by the Services business is the most comprehensive in the sector. Glaston’s comprehensive Glaston Care service agreements distinguish Glaston from its competitors. Maintenance services are available for every stage of the life cycle of products. Glaston has one class of shares and each share that is not owned by the company entitles its holder to one vote at the Annual General Meeting and to an equal amount of dividend. The Glaston share does not hold nominal value. The company’s shares are registered in the book-entry system. The table summarizes Glaston’s share capital and changes that have occurred since 2001. Glaston Corporation’s Annual General Meeting on 10 April 2018 authorised the Board of Directors to decide on the issuance of shares as well as the issuance of options and other rights granting entitlement to shares. The authorisation covers a maximum of 20,000,000 shares. The authorisation does not exclude the Board of Directors’ right to decide on a directed issue. It was proposed that the authorisation be used for executing or financing arrangements important from the company’s point of view, such as business arrangements or investments, or for other such purposes determined by the Board of Directors in which a weighty financial reason would exist for issuing shares, options or other rights granting entitlement to shares and possibly directing a share issue. The Board of Directors is authorised to resolve on all other terms and conditions of the issuance of shares, options and other rights entitling to shares as referred to in Chapter 10 of the Companies Act, including the payment period, grounds for the determination of the subscription price and the subscription price or allocation of shares, options or other rights without payment or that the subscription price may be paid besides in cash also with other assets either partially or entirely. The authorisation is valid until 30 June 2019 and it invalidates earlier authorisations. According to our information the analysts listed below prepare investment analyses on Glaston. The analysts do so on their own initiative. Glaston takes no responsibility for the opinions expressed by analysts. At the end of December 2016, the company held 788,582 of the company’s own shares (treasury shares), corresponding to 0.75 percent of the total number of issued shares and votes. Shareholders of listed companies have an obligation to notify both the Financial Supervisory Authority (FSA) and the listed company of changes in their holdings. Listed companies have an obligation to publicly disclose the shareholder’s notification. Notifications of changes in holdings must be made without undue delay by fax to +358 10 500 6515 or by email to agneta.selroos[at]glaston.net. Please find more information on the Financial Supervisory Authority’s web page. Glaston Corporation recommends Managers and their closely associated persons to give their notification promptly to Glaston and the FIN-FSA and at the latest within three (3) business days after the transaction. 2. Send the form you have filled in as email attachment to Glaston and FIN-FSA as soon as possible. Do not send the form by post due to short notification timetable three (3) working days. Please also add your phone number to the email message so that we can contact you if Glaston has questions about the notification. In case of any problems, please contact agneta.selroos(at)glaston.net or taina.tirkkonen(at)glaston.net. Glaston will publish the notification as a stock exchange release without delay after the notification has been received. More information on the regulation of transactions made by the Managers and their closely associated persons is available on FSA web pages. Glaston Corporation’s administration and management are based on the Company’s Articles of Association, the Finnish Companies Act and Securities Markets Act, and the rules of NASDAQ Helsinki Stock Exchange. In addition, Glaston complies with the Finnish Corporate Governance Code 2015 issued by the Finnish Securities Market Association. The Code is publicly available at the address www.cgfinland.fi. In addition, operations are guided by Glaston’s own operating principles and policies, and the company’s values. The Corporate Governance Statement 2018 is presented as a separate report and was disclosed together with the annual report and the financial statements. Independent of the company and significant shareholders. Born 1954, M.Sc. (Econ. ), APA. Professional Board member. Member of the Board of Glaston Corporation since 2010, Chairman of the Board since 2018. 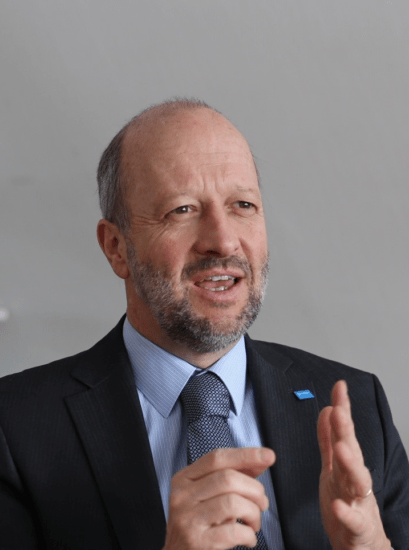 Pöyry Plc 1985-2010: Senior Advisor, 2010; Group Executive Vice President and Deputy to President & CEO,1999-2009; Head of Infrastructure & Environment business group, 1998-2000; Head of Construction business group, 1997-1998; CFO, 1988-1999. Independent of the company and significant shareholders. Born 1962, M.Sc. (Eng.). Uponor Infra, President, 2013-, Deputy to the CEO of Uponor Corporation 2010-. Member of the Board of Glaston Corporation since 2018. Independent of the company and significant shareholders. Born 1966, M.Sc. Architecture. CEO at SARC Architects Ltd. Member of the Board of Glaston Corporation since 2016. Independent of the company and significant shareholders. Born 1960, M.Sc. (Eng.). 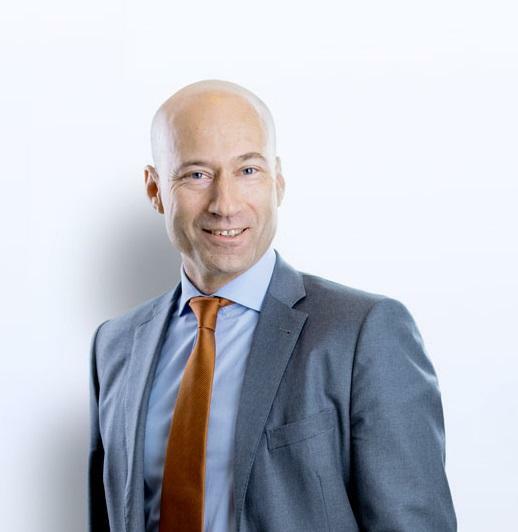 Valmet Technologies Oy, Vice President, Energy Sales and Services Operations, EMEA, 2015. Member of the Board of Glaston Corporation since 4 April 2017. Independent of the company and significant shareholders. Born 1959. Doctor of Technology (Dr.Tech) (MBA). President of Kalmar, part of Cargotec. 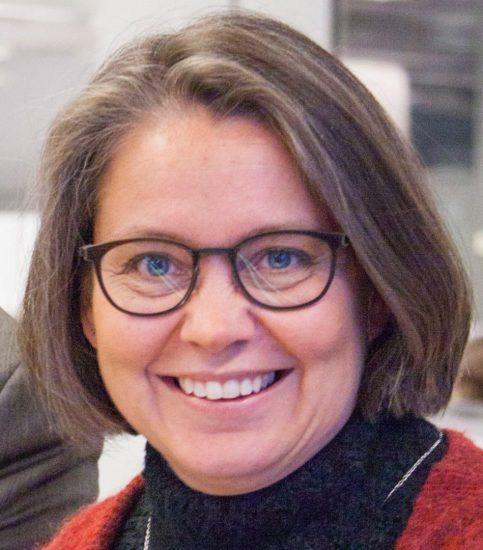 Member of the Board of Directors since 10 April 2018. Independent of the company and dependent of a significant shareholder. Born 1971, M.Sc. (Eng. ), M.Sc. (Econ.). 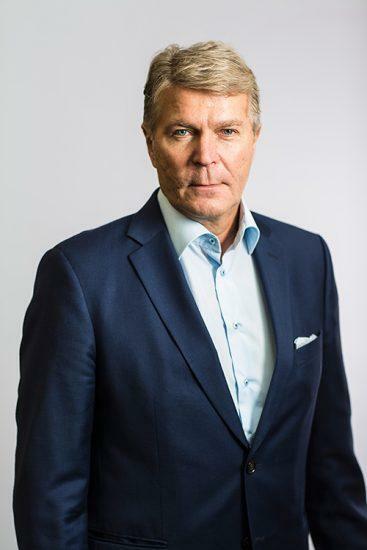 Director, Industrial investments at Ahlström Capital since 2015. Member of the Board since September 2017. The Annual General Meeting elects the members of the Board of Directors. The composition of the Board of Directors is included in the Notice to the Annual General Meeting. The personal information of the candidates is published on Glaston’s web site in connection with the notice to attend the Annual General Meeting. According to the Articles of Association, the Board of Directors consists of minimum of five (5) and a maximum of nine (9) members. Members of the Board are elected for one year at a time, and the term of office of Members of the Board expires at the end of the next Annual General Meeting that follows their election. According to the Articles of Association, a person who has reached 67 years of age cannot be elected a Member of the Board of Directors. In the selection of members, attention shall be paid to the fact that the Members’ experience and competence in the Company’s field of business and development stage are mutually complementary. The Board of Directors elects from among its members a Chairman and a Deputy Chairman for one year at a time. The Board of Directors’ tasks and responsibilities are determined primarily by the company’s Articles of Association, the Finnish Companies Act and other legislation and regulations. It is the responsibility of the Board of Directors to further the interests of the company and all of its shareholders. The main duties and operating principles of the Board of Directors are defined in the board charter approved by the Board. It is the Board’s duty to prepare the matters to be dealt with by a General Meeting and to ensure that the decisions made by a General Meeting are appropriately implemented. It is also the Board’s task to ensure the appropriate arrangement of the control of the Company’s accounts and finances. In addition, the Board directs and supervises the Company’s executive management, appoints and dismisses the President & CEO and decides on the President & CEO’s employment and other benefits. In addition, the Chairman of the Board approves the salary and other benefits of the Executive Management Group. The Board approves the Executive Management Group’s charter. The Board of Directors also decides on far-reaching and fundamentally important issues affecting the Group. Such issues are the Group’s strategy, approving the Group’s budget and action plans and monitoring their implementation, acquisitions and the Group’s operating structure, significant capital expenditures, internal control systems and risk management, key organisational issues and incentive schemes. The Board of Directors is also responsible for monitoring the reporting process of the financial statements, the financial reporting process and the efficiency of the Company’s internal control, internal auditing, if applicable, and risk management systems pertaining to the financial reporting process, monitoring the statutory audit of the financial statements and consolidated financial statements, evaluating the independence of the statutory auditor or audit firm, particularly with respect to the provision services unrelated to the audit, and preparing a proposal for resolution on the election of the auditor. The Board of Directors meets according to a timetable agreed in advance, generally 7–10 times per year. The Board of Directors may meet in addition to the aforementioned meetings, if necessary. The Board of Directors shall have a quorum if more than half of its members are present at the meeting. Matters shall be resolved by a simple majority of the votes cast. In the event of a tie, the Chairman shall have the casting vote. The President & CEO, or another member of the company management designated by him, shall act as the presiding officer at Board meetings. CEO & President of Glaston Corporation since 2009. Born 1956, M.Sc. (Mining Engineering and Mineral Processing). COO and integration lead, as of 1 April 2019. Deputy to the CEO since 2015. Born 1974, M.Sc. (Econ.). Joined the company in 2002. SVP Machines, 2016-2019; Glaston Corporation, CFO, 2012-2016; Glaston America Inc., 2010-2012, Vice President, Sales and Services; Glaston Corporation, Group Treasurer, 2007-2010; Tamglass Finton Oy, 2005-2007, Managing Director; Tamglass Lasinlajostus Oy, 2002-2005, Business Controller; Finnforest Oyj, 1998-2002, Financial Management Positions. Member of the Executive Management Group as of 1 April 2019. Responsible of Bystronic glass. Born 1965, PhD in Mechanical Engineering. Joined Bystronic glass in 2014. Glaston technologies as of 1 May 2019. Born 1958, B.Sc. (Eng.). Joined the company in 1986. SVP, Emerging Technologies 2017-1 May 2019; Glaston Corporation: 2016-2017, SVP, Americas, 2013-2016, SVP, Machines business operations; 2012-2013, SVP, Heat Treatment product line; 2009-2012, SVP, Services,; 2008-2009 SVP, Quality and Business development; Kyro Corporation, 2003-2007, Vice President, Technology; Tamglass Engineering Ltd. Oy,1999-2003, Managing Director; Tamglass Ltd. Oy, 1991-2003, management positions; Tamglass Engineering Oy: 1989-1991, Vice President, Service and 1986-1989, Project Engineer; Insinööritoimisto Kupari Oy, 1984-1986, Design and Project Engineer. CFO as of 19 September 2016. Born 1970, M.Sc. (Econ.) and MBA. 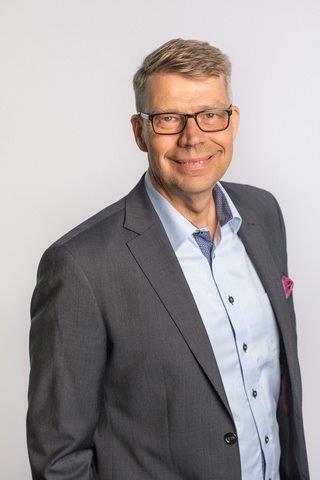 Basware Oyj, 2014-2016, Vice President, Business Control; Outokumpu Oyj: Divisional CFO (SVP Finance & Control), Stainless Coil EMEA 2012-2013, Senior Vice President, Communications and Investor Relations 2007-2011; Tieto Corporation, 1997-2007, Leadership positions in Communications and IR, specialist roles in finance. 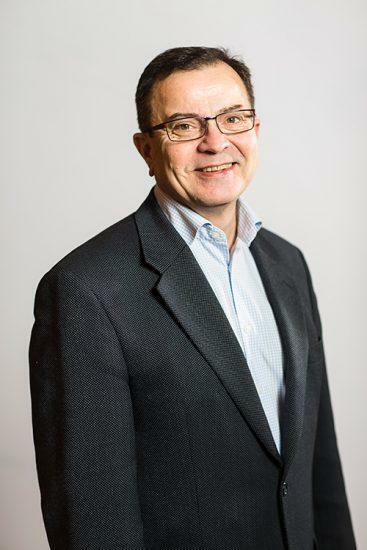 The Board of Directors of Glaston Corporation appoints the company’s Chief Executive Officer (CEO), whose key terms and conditions of employment are specified in a written contract approved by the Board. 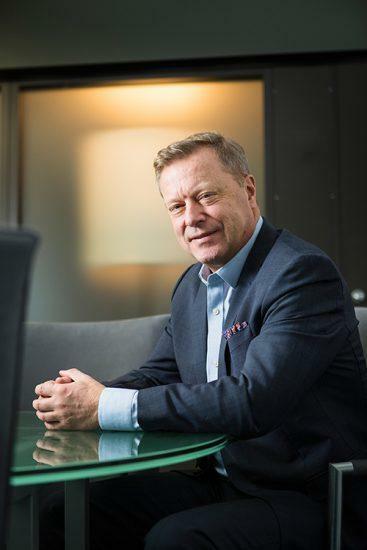 The CEO is responsible for the operational management of Glaston Group in accordance with the Finnish Companies Act and instructions given by the Board. The CEO reports to the Board on, among other things, the company’s financial position, the business environment as well as changes therein, and on other matters of significance. The CEO prepares the matters to be handled by the Board and implements the decisions made on them. The CEO is the Chairman of Glaston’s Executive Management Group and steers the business of the company and its business areas and units. As of 1 April 2019 the Executive Management Group includes the CEO, the Chief Financial Officer, the COO and integration lead, the head of Bystronic glass, and as of 1 May 2019 the head of Glaston technologies. The Annual General Meeting decides on the remuneration of the Board members based on the recommendation of the Shareholders’ Nomination Board. The remuneration of the Board of Directors consists of an annual fee and meeting fee. The meeting fee is paid for every meeting attended. In accordance with a decision of the Annual General Meeting held on 4 April 2019, the annual remuneration of the Chairman of Glaston’s Board of Directors is EUR 60,000, the remuneration of the Deputy Chairman EUR 40,000 and the remuneration of Members of the Board EUR 30,000. The meeting remuneration is EUR 800 for meetings in Finland and EUR 1,500 for meetings abroad for the Chairman, and EUR 500 for meetings in Finland and EUR 1,000 for meeting abroad for a Member of the Board. In addition, the Board members are compensated for travel and accommodation costs and direct expenses related to Board work. The Board members do not receive shares or share derivatives as remuneration for their membership nor do they participate in Glaston’s incentive programs. In 2018, remuneration to the Board of Directors totalled EUR 237,425. The Board of Directors decides on the compensation and benefits of the CEO. The Chairman of the Board of Director’s approves the salary and other benefits of the Executive Management Group. The remuneration of the President & CEO and the Members of the Executive Management Group consists of a fixed monthly salary, an annual bonus and a share-based incentive plan based on the development of the share price, which is intended as a long-term reward. The annual bonus is determined on the basis of Glaston’s financial performance. The criteria for bonus payments are consolidated result, result of the business area or business unit as well as functional targets. The maximum amount of the President & CEO’s annual bonus is 50% of annual salary. For the other members of the Executive Management Group, the maximum amount of annual bonus is 40% of annual salary. The President & CEO’s period of notice is three months. The President & CEO is paid compensation corresponding to 12 months’ salary if he is dismissed by the Company. If more than 50% of the Company’s shares are transferred to a new owner in connection with a merger or acquisition, the President & CEO shall have the right to terminate his employment contract with 1 month’s notice, in which case he shall be paid one-off severance pay of EUR 200,000. 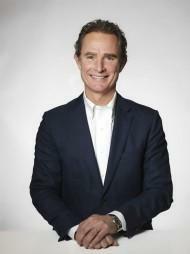 The President & CEO has the possibility to retire at 63 years of age. The President & CEO and the Deputy to CEO are entitled to a supplementary pension that exceeds the statutory scheme. The retirement age of other members of the Executive Management Group is in accordance with normal local legislation. Glaston’s share-based incentive plans are directed to the Group’s key personnel as part of the Group’s incentive schemes. The plans aim to align the interests of the company’s shareholders and key personnel in the Group in order to raise the value of Glaston. In February 2014, Glaston’s Board of Directors approved a new long-term incentive and commitment plan for the Group’s key personnel including senior management of the Group and its subsidiaries. The incentive plan is based on the development of Glaston’s share price. The first period covered the years 2014–2016 and thereafter a new period has been launched annually. For the incentive plan that covered the years 2015–2017 the reward was paid in spring 2018. The incentive plan covered 29 key Glaston personnel. In January 2016, Glaston’s Board of Directors decided on a new period in the share-based incentive plan for years 2016–2018. Any rewards from the scheme will be paid in spring 2019. The incentive plan launched in 2016 covers 18 key Glaston personnel. On 18 January 2017, Glaston’s Board of Directors decided on a new period in the share-based incentive plan covering the period 2017–2019, and any rewards from the plan will be paidin spring 2020. The incentive plan launched in 2017 covers 18 key Glaston personnel. On 8 February 2018, Glaston’s Board of Directors decided on a new period in the share-based incentive plan covering the period 2018–2020. Any rewards from the plan will be paid in spring 2021 and the plan covers 20 key Glaston employees. The table presents the total remuneration of the President & CEO and the other Members of the EMG in 2018 and 2017. Risk management and internal control are part of Glaston’s management system. Risk management is an essential part of planning, decision-making and management processes, and it is being applied in all of Glaston’s operations worldwide. The objective of risk management is to ensure the achievement of business targets and to safeguard operational continuity. The purpose of internal control on the other hand is to ensure the effective and profitable operations of the company, sufficient and appropriate management of business risks, and reliable information. The control system is also used to monitor compliance with specified operating principles and issued instructions. Glaston’s risk management process is introduced in the Corporate Governance Statement. The Group’s risks are covered in more detail in the Board of Directors’ Report. The management and organisation of the Group’s financial risks are presented in more detail in Note 3 of the consolidated financial statements. Risk management is an essential part of planning, decision-making and management processes, and a risk management programme is applied in all of Glaston’s operations worldwide. The objective of risk management is to ensure the achievement of business targets and to safeguard operational continuity. Glaston applies a risk management policy approved by the company’s Board of Directors. The principle guiding Glaston’s risk management is the continuous, systematic and appropriate development and implementation of the risk management process, with the aim of the comprehensive recognition and appropriate management of risks. From the perspective of risk management, Glaston has divided risks into four different groups: strategic risks, operational risks, financial risks and hazard risks. Risks of property, business interruption and liability losses arising from the Group’s operations have been covered by appropriate insurance, and management of financial risks is the responsibility of the Group Treasury in the Group’s parent company. Glaston’s risk management consists of the following stages: risk recognition, risk assessment, risk handling, risk reporting and communication, monitoring of risk management measures and processes, operational continuity planning and crisis management. As part of the risk management process, the most significant risks and their possible effects are reported to company management and the Board of Directors regularly, based on which management and the Board can make decisions on the level of risk that the business areas and units are possibly ready to accept in each situation or at a certain time. In practice, risk management consists of appropriately specified tasks, operating practices and tools, which have been adapted to Glaston’s business area, business unit and Group-level management systems. Risk management is the responsibility of the directors and managers of each business area, business unit and Group function. Risk recognition is in practice the responsibility of every Glaston employee. A strategic risk for Glaston is above all the loss of the Group’s market shares as well as the arrival of a competing machine and glass processing technology on to the market in connection with technological development, which would require Glaston to make considerable product development investments. Changes to legislation that regulate the company are also strategic risks. Glaston’s most significant operational risks include management of large customer projects, the availability and price development of components, management of the subcontractor network, succeeding in the effective protection of intellectual property rights and efficient production as well as the availability and permanence of personnel. The Group’s financial risks consist of foreign exchange, interest rate, credit loss, counterparty and liquidity risks. The nature of international business means that the Group has risks arising from fluctuations in foreign exchange rates. Changes in interest rates represent an interest rate risk. Credit loss and counterparty risks arise mainly from risks associated with the payment period granted to customers. Liquidity risk is the risk that the Group’s negotiated credit facilities are insufficient to cover the financial needs of the business or that obtaining new funding for these needs will cause a significant increase in financing costs. The aim of internal control is to ensure that the Group’s operations are efficient, productive and reliable and that legislation and other regulations are complied with. The Group has specified for the main areas of its operations Group-wide principles that form the basis for internal control. The Group’s internal control systems serve to provide reasonable assurance that the financial reports published by the Group give reasonably correct information about the Group’s financial position. The Board of Directors and the President & CEO are responsible for arranging internal control. The Group’s internal control is decentralised to different Group functions, which supervise within their areas of responsibility compliance with the policies approved by the Board of Directors. The Group’s financial management and operational control are supported and coordinated by the Group’s financial management and controller network. The Company has no separate internal auditing organisation. The Group’s Financial Management organisation regularly monitors the reporting of segments and addresses deviations perceived in reporting and, if necessary, performs either its own separate internal auditing or commissions the internal auditing from external experts. Under the Articles of Association the company has one auditor, which must be an auditing firm approved by the Finnish Central Chamber of Commerce. The Annual General Meeting elects the Company’s auditor. The auditor’s term of office covers the financial year during which it is elected and ends at the conclusion of the Annual General Meeting that follows its election. The auditor gives to the company’s shareholders the auditor’s report required by law in connection with the annual financial statements. In addition, the auditor reports regularly to the Board of Directors. Accounting firm Ernst & Young Oy has been acting as the Company’s auditor since 2010. On 5 April 2016, Ernst & Young Oy designated Authorized Public Accountant Kristina Sandin as the Responsible Auditor. Auditing units representing Ernst & Young have mainly served as the auditors of the Company’s subsidiaries in each country. In 2018 the Group’s auditing costs totalled approximately EUR 287,000 (EUR 253,000 in 2017), of which Ernst & Young received approximately EUR 262,000 (EUR 234,000 in 2017). Ernst & Young Oy’s auditing expenses for the audit for financial year 2018 totalled approximately EUR 221,000 (EUR 223,000 in 2017). Glaston Corporation’s General Meeting of Shareholders is the company’s ultimate decision-making body. It decides on the duties for which it is responsible in accordance with the Finnish Companies Act and the Articles of Association, which include the adoption of the financial statements and the consolidated financial statements contained therein, the distribution of profits, and the discharge of the Members of the Board of Directors and the President & CEO from liability. In addition, the General Meeting of Shareholders elects the Board of Directors and the Auditors. The Annual General Meeting decides on the remuneration paid to Members of the Board and the Auditors. Glaston Corporation’s General Meeting of Shareholders meets at least once per year. The Annual General Meeting must be held at the latest by the end of May. An Extraordinary Meeting of Shareholders is convened when the Board of Directors considers it necessary or when one must be convened by law. In accordance with the Articles of Association, the notice to attend a General Meeting of Shareholders must be published on the Company’s website no earlier than two months before the last day of registration and no later than three weeks before the General Meeting, but at least nine days before the record date of the General Meeting. The Board of Directors may also decide to publish the notice of the General Meeting in one or more Finnish or Swedish-language national newspapers. In addition, Glaston publishes the notice to the General Meeting of Shareholders as a stock exchange release. The President & CEO, the Chairman of the Board and the Members of the Board of Directors shall attend the General Meeting of Shareholders. In addition, the Auditor shall be present at the Annual General Meeting. The candidates for the Board of Directors shall also be present at the General Meeting that decides upon their election. In accordance with the Finnish Companies Act, a shareholder shall have the right to have a matter falling within the competence of the General Meeting dealt with by the General Meeting, if the shareholder so requests in writing from the Board of Directors well in advance of the meeting, so that the matter can be mentioned in the notice to attend. Glaston shall publish on its website in good time the date by which a shareholder must notify the Board of Directors of his/her request. At a General Meeting, shareholders shall have the right to make proposals and ask questions on the matters on the agenda of the meeting. A shareholder shall have the right to participate in a General Meeting if the shareholder is registered in the Company’s register of shareholders eight (8) days before a General Meeting. Owners of nominee-registered shares may be temporarily registered in the Company’s list of shareholders for participation in a General Meeting. A shareholder may attend a General Meeting personally or through an authorised representative. A shareholder may also have an assistant at a General Meeting. The Annual General Meeting of Glaston Corporation was held on Thursday, 4 April 2019 in Helsinki. The General Meeting adopted the financial statements and consolidated financial statements for the financial period from 1 January to 31 December 2018 and discharged the members of the Board of Directors and the President and CEO from liability concerning the financial year from 1 January to 31 December 2018. In accordance with the proposal of the Board of Directors, the General Meeting resolved that based on the balance sheet adopted for the financial year 2018, a return of capital of a total of approximately EUR 1,157,067, i.e. EUR 0.03 per share be distributed. The return of capital will be paid from the reserve for invested unrestricted equity to a shareholder who is registered in the Company’s shareholders’ register maintained by Euroclear Finland Ltd on the record date for the payment, 8 April 2019. The return of capital will be paid on 25 April 2019. In accordance with the proposal of the Shareholders’ Nomination Board, the number of the members of the Board of Directors was resolved to be six. The General Meeting decided, in accordance with the proposal of the Shareholders’ Nomination Board, to re-elect as members of the Board of Directors the current members of the Board of Directors, Mr. Teuvo Salminen, Mr. Sebastian Bondestam, Mr. Antti Kaunonen, Ms. Sarlotta Narjus, Mr. Kai Mäenpää and Mr. Tero Telaranta. More information on the members of the Board of Directors is available on Glaston Corporation’s website at www.glaston.net. In accordance with the proposal of the Shareholders’ Nomination Board, the General Meeting resolved that the annual fees of the members of the Board of Directors are increased so that the Chairman of the Board of Directors is paid an annual fee of EUR 60,000, the Deputy Chairman an annual fee of EUR 40,000 and the other members of the Board of Directors an annual fee of EUR 30,000. In addition, the General Meeting resolved that in accordance with the proposal of the Shareholders’ Nomination Board, meeting fees are paid, in accordance with earlier practice, for each meeting of the Board of Directors that a Member of the Board has attended, and that meetings fees are increased so that the Chairman of the Board is paid EUR 800 for meetings in Finland and EUR 1,500 for meetings abroad and the other Members of the Board EUR 500 for meetings in Finland and EUR 1,000 for meetings abroad. For per capsulam Board Meetings, half of the normal meeting fee will be paid. Furthermore, it was resolved that each Member of the Board will be compensated for travel and accommodation costs and direct expenses arising from their work for the Board of Directors. In addition, the General Meeting resolved that the arrangement of voluntary pension insurance based on remuneration will be discontinued. In addition, the General Meeting resolved in accordance with the proposal of the Shareholders’ Nomination Board that members of the Audit and Remuneration Committees to be established will be paid a meeting fee of EUR 500 for each meeting that the members have attended. In addition to the meeting fee, the Chairman of the Audit Committee will be paid an annual fee of EUR 10,000 and the Chairman of the Remuneration Committee will be paid an annual fee of EUR 7,500. 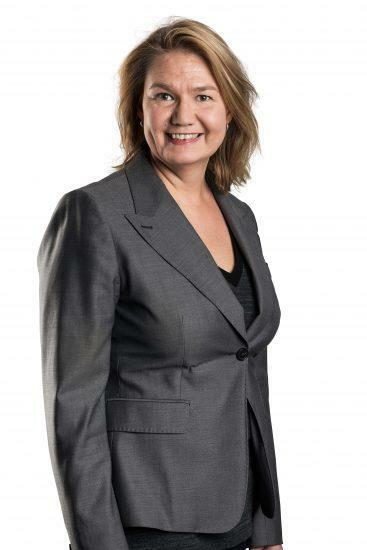 In accordance with the proposal of the Board of Directors, the General Meeting re-elected the authorised public accounting firm Ernst & Young Oy as the Company’s auditor with Authorised Public Accountant Kristina Sandin as the auditor in charge. In accordance with the proposal of the Board of Directors, the General Meeting authorised the Board of Directors to decide on one or more issuances of shares, which contain the right to issue new shares or dispose of the shares in the possession of the Company and to issue options or other rights entitling to shares pursuant to Chapter 10 of the Finnish Companies Act. The authorisation consists of up to 4,000,000 shares in the aggregate representing approximately 10 per cent of the current total number of shares in the Company. The authorisation does not exclude the Board of Directors’ right to decide on a directed share issue. The authorisation may be used for material arrangements from the Company’s point of view, such as financing or implementing business arrangements or investments or for other such purposes determined by the Board of Directors in which case a weighty financial reason for issuing shares, options or other rights and possibly directing a share issue would exist. The Board of Directors was authorised to resolve on all other terms and conditions of the issuance of shares, options and other rights entitling to shares as referred to in Chapter 10 of the Companies Act, including the payment period, grounds for the determination of the subscription price and subscription price or allocation of shares, option or other rights free of charge or that the subscription price may be paid besides in cash also by other assets either partially or entirely (contribution in kind). The authorisation is effective until 30 June 2020, and it revokes earlier corresponding authorisations. In contrast, the authorisation does not revoke the authorisations given by the Extraordinary General Meeting of the Company on 26 February 2019 to the Board of Directors for share issues of 7,600,000 shares and 46,000,000 shares as set out in more detail in the resolution of the aforementioned General Meeting. In accordance with the proposal of the Board of Directors, the General Meeting resolved that the share premium account, as stated on the parent Company’s balance sheet on 31 December 2018, that belongs to restricted equity, will be reduced by transferring all funds in the account EUR 25,269,825, to the Company’s reserve for invested unrestricted equity. A significant amount of funds has accumulated in the Company’s share premium account based on entries made until 2004 in accordance with the so-called old Limited Liability Companies Act (734/1978), and especially due to a share issue related to the listing of the Company in 1997, when the part of the subscription price of the new shares exceeding the nominal value of the share of that time was entered in the Company’s share premium account. The entry into force of the reduction of the share premium account is subject to the completion of the creditor protection procedure set out in Chapter 14 of the Limited Liability Companies Act. In addition, the General Meeting resolved that all practical measures related to the reduction of the share premium account shall be decided by the Board of Directors. The purpose and task of the Nomination Board is to annually prepare and present to the Annual General Meeting and, if necessary, to an Extraordinary General Meeting, a proposal on the number of the members of the Board of Directors, a proposal on the members of the Board of Directors and a proposal on the remuneration of the members of the Board of Directors. In addition, the task of the Nomination Board is to seek candidates as potential board members. The Nomination Board acts in accordance with applicable laws, the stock exchange regulations applicable to the Company and the Finnish Corporate Governance Code. As a board representing the Company’s shareholders, the Nomination Board meets the requirements set out for such a board by the Corporate Governance Code. The Nomination Board consists of four members, all of which are appointed by the Company’s four largest shareholders, who shall appoint one member each. The Chairman of the Company’s Board of Directors serves as an advisory member of the Nomination Board. 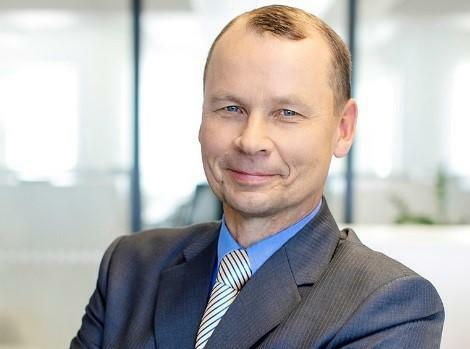 The Company’s largest shareholders entitled to appoint members to the Nomination Board shall be determined on the basis of the registered holdings in the Company’s shareholder register held by Euroclear Finland Ltd as of the first working day in September in the year concerned. The Nomination Board is established to exist and serve until the General Meeting of the Company decides otherwise. The members shall be nominated annually and their term of office shall end when new members are nominated to replace them. The members of the Nomination Board appointed by shareholders shall be independent of the Company and a person belonging to the Company’s operative management cannot be a member of the Nomination Board. The members of the Nomination Board shall not be entitled to any remuneration from the Company on the basis of their membership. The travelling costs of the members shall be reimbursed in accordance with the Company’s travel policy. The Nomination Board can, at the Company’s approved expense, make use of outside experts to identify and evaluate potential new candidate members to the Board of Directors. The Nomination Board shall forward its proposals for the Annual General Meeting to the Company’s Board of Directors by the end of January each year. Proposals intended for an Extraordinary General Meeting shall be forwarded to the Company’s Board of Directors in time for them to be included in the notice to the General Meeting. The Nomination Board’s decision shall be the majority opinion. In case of a tie, the Chairperson will have the casting vote. A person to be proposed as a member of the Board of Directors shall have the qualifications required for the task and the possibility to devote sufficient amount of time for the task. 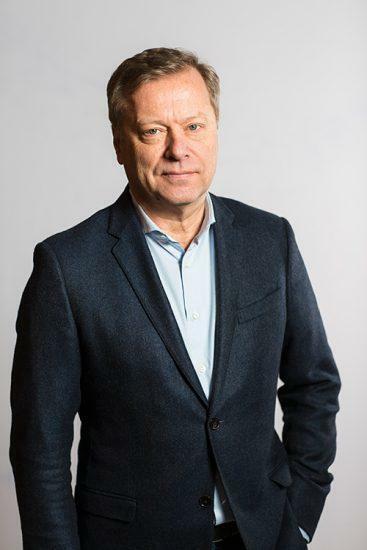 Teuvo Salminen, Chairman of the Company’s Board of Directors, serves as an advisory member of the Nomination Board. 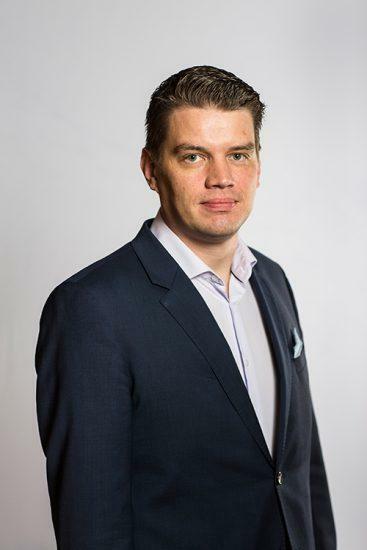 In its organizing meeting on 5 October 2018, the Nomination Board elected Lasse Heinonen amongst its members as Chairman. In November 2018, Glaston published its refined strategy for 2018–2021 to better meet its customers’ needs. While the core of the strategy remains unchanged, some refinements and adjustments have been made. The order intake in the early part of the year and the positive market development create good conditions for profitable growth in 2018. Due to the weighting of the order intake forecast towards the second half of the year, the operating profit for the final quarter of the year is expected to be significantly better than the other quarters. We expect the full-year comparable operating profit to improve from 2017. (Full-year 2017 comparable operating profit was EUR 5.0 million according to the new revenue recognition standard IFRS 15). Activity in the glass processing market was good from the beginning of 2018. The development of Glaston’s order intake took a turn for the better as the end of the quarter approached, and the positive market development is expected to continue. The strong growth expectations for the world economy support this view. Customers continue to take time over their investment decisions, which may cause delays in orders and fluctuations in quarterly order intake. The development of the glass processing market gradually improved during 2017, and Glaston expects the positive development to continue in the current year. The strong growth expectations for the world economy support this view. Customers continue to take time over their investment decisions, which may cause delays in orders and fluctuations in quarterly order intake. In the third quarter, the development of the glass processing market continued to be mainly positive. The prolonged uncertainty in the global economy and increasing political tensions in some regions are impacting customers’ willingness to invest, and decision-making times have lengthened. There are no visible signs of a permanent change in the market, however. We expect the positive market development to continue. In the final quarter of 2015, signs of caution appeared in Glaston markets. Looking at 2016, we expect the overall market to develop positively but cautiously. According to Glaston’s dividend policy Glaston’s objective is to distribute annually a dividend or return of capital amounting to 30-50% of the company’s comparable earnings per share. When determining the amounts and dates of payment of any future dividends or returns of capital the Board of Directors always takes the company’s financial position and future outlook into consideration. In addition, the dividend policy takes into account growth targets in line with strategy as well as financing requirements for growth. Glaston Corporation is a public limited liability company organized under the laws of the Republic of Finland and domiciled in Helsinki, Finland. Glaston’s shares are publicly traded in the NASDAQ Helsinki Ltd. Small Cap in Helsinki, Finland. Glaston Corporation is the parent of Glaston Group and its registered office is at Lönnrotinkatu 11, 00120 Helsinki, Finland. Glaston Group is an international glass technology company. Glaston is a one of the leading manufacturers of glass processing machines globally. Its product range and service network are the most extensive in the industry. The operations of the Glaston Group are organized in two reportable segments, which are Machines and Services. Supporting activities include head office operations. The Board of Directors of Glaston Corporation has in its meeting on 8 February, 2018, approved these financial statements to be published. According to the Finnish Companies’ Act, the shareholders have a possibility to approve or reject or make a decision on altering the financial statements in a General Meeting to be held after the publication of the financial statements. The consolidated financial statements of Glaston Group are prepared in accordance with International Financial Reporting Standards (IFRS), including International Accounting Standards (IAS) and Interpretations issued by the International Financial Reporting Interpretations Committee (SIC and IFRIC). International Financial Reporting Standards are standards and their interpretations adopted in accordance with the procedure laid down in regulation (EC) No 1606/2002 of the European Parliament and of the Council. The Notes to the Financial Statements are also in accordance with the Finnish Accounting Act and Ordinance and the Finnish Companies’ Act. The consolidated financial statements include the financial statements of Glaston Corporation and its subsidiaries. The functional and reporting currency of the parent is euro, which is also the reporting currency of the consolidated financial statements. Functional currencies of subsidiaries are determined by the primary economic environment in which they operate. The financial year of Glaston Group as well as of the parent and subsidiaries is the calendar year ending 31 December. The financial statements have been prepared under the historical cost convention except as disclosed in the accounting policies below. The figures in Glaston’s consolidated financial statements are mainly presented in EUR thousands. Due to rounding differences the figures presented in tables do not necessarily add up to the totals of the tables. In addition to the standards and interpretations presented in the financial statements for 2017, the Group will adopt the following published standards, interpretations and changes to existing standards and interpretations in its 2018 financial statements or later. IFRS 15 establishes a five-step model for the recognition of sales revenue arising from contracts with customers. Revenue is recognised in an amount that reflects the consideration to which the entity expects to be entitled in exchange for goods delivered or services rendered. The disclosure requirements are extended from the present. In accordance with the principles of the new standard, Glaston will recognise the revenue from tailor-made glass processing deliveries over time. As a recognition practice, Glaston will apply the cost-to-cost method, i.e. the share of accumulated project costs compared to total estimated costs will be used as the degree of completion (progress towards the performance obligation under IFRS 15.39). Revenue recognition will take place over time as costs accumulate and are recognised for the project. Revenue recognition according to degree of completion will bring forward the timing of revenue recognition, and revenue recognition will be distributed over the entire period of a project more evenly than at present. In the balance sheet, the change will reduce the amount of works in progress in inventories. Glaston will apply the network standard in full retrospectively from 1 January 2018, and will prepare a restated income statement and balance sheet for 2017. IFRS 9 includes new guidance on the classification and measurement of financial assets, including a new expected credit loss model for calculating impairment on financial assets as well as new general hedge accounting requirements. Under IFRS 9, financial assets are classified into three measurement categories: amortised cost, fair value through other comprehensive income items and fair value through profit and loss. The category is determined at original recognition. Glaston will apply the new standard on 1 January 2018. The amendment of the standard does not affect the classification of the Group’s financial assets. The standard changes the calculation of impairment on the Group’s current receivables and the amount of credit loss provision, but the change has no significant impact on the consolidated financial statements. IFRS 16 replaces the existing guidance IAS 17 Leases. Under IFRS 16, all lease contracts over 12 months in length are recognised in the lessee’s balance sheet. The lessee recognises in the balance sheet a right-of-use asset item, based on its right to use the said asset, and a lease liability item corresponding to the present value of the asset, based on the obligation to make the lease payments. From the lessor’s perspective, reporting will remain the same as at present under the existing standard, i.e. leases are still divided into finance leases and other leases. The new lease standard will have an impact on the Company’s income statement, balance sheet and key figures. Under the new standard, Glaston will recognise in the balance sheet assets and liabilities covered by current premises and vehicle leases. In the income statement, the present rental expense will be removed and replaced by a depreciation of a right-of-use asset and an interest expense reported in financial expenses. Glaston will calculate the effects of the new standard during the next 12 months and will apply the new standard on the required application date. Management estimates that the other published new IFRSs, IFRIC interpretations and changes to existing standards and interpretation will have no material affect on Glaston consolidated financial statements or the disclosure thereof. The consolidated financial statements include the parent and its subsidiaries. Subsidiaries are companies in which the parent has, based on its holding, more than half of the voting rights directly or via its subsidiaries or over which it otherwise has control. Divested subsidiaries are included in the consolidated financial statements until the control is lost, and companies acquired during the reporting period are included from the date when the control has been transferred to Glaston. Acquisitions of subsidiaries are accounted for under the purchase method. Associates, where the Group has a significant influence (holding normally 20 – 50 per cent), are accounted for using the equity method. The Group’s share of the associates’ net results for the financial year is recognized as a separate item in profit or loss. The Group’s interest in an associate is carried in the statement of financial position at an amount that reflects its share of the net assets of the associate together with goodwill on acquisition, if such goodwill exists. When the Group’s share of losses exceeds the carrying amount of associate, the carrying amount is reduced to nil and recognition of further losses ceases unless the Group is committed to satisfy obligations of the associate by guarantees or otherwise. Other shares, i.e. shares in companies in which Glaston owns less than 20 percept of voting rights, are classified as available-for-sale financial assets and presented in the statement of financial position at fair value, or if the fair value cannot be measured reliably, at acquisition cost, and dividends received from them are recognized in profit or loss. All inter-company transactions are eliminated as part of the consolidation process. Unrealized gains arising from transactions with associates are eliminated to the extent of the Group’s interest in the entity. Unrealized losses are eliminated in the similar way as unrealized gains, but only to the extent that there is no evidence of impairment. Non-controlling interests are presented separately in arriving at the net profit or loss attributable to owners of the parent. They are also shown separately within equity. If the Group has a contractual obligation to redeem the share of the non-controlling interest with cash or cash equivalents, non-controlling interest is classified as a financial liability. The effects of the transactions made with non-controlling interests are recognized in equity, if there is no change in control. These transactions do not result in goodwill or gains or losses. If the control is lost, the possible remaining ownership share is measured at fair value and the resulting gain or loss is recognized in profit or loss. Total comprehensive income is attributed also to non-controlling interest even if this will result in the non-controlling interest having a deficit balance. In the consolidated financial statements, the income statements, statements of comprehensive income and statements of cash flows of foreign subsidiaries have been translated into euros using the average exchange rates of the reporting period and the statements of financial positions have been translated using the closing exchange rates at the end of the reporting period. The exchange difference arising from translating the income statements, statements of comprehensive income and statements of financial position using the different exchange rates is recognized as other comprehensive income and included in equity as cumulative exchange difference. Exchange differences arising from the translation of the net investments in foreign subsidiaries and associates in non-euro-area are also recognized in other comprehensive income and included in equity as cumulative exchange difference. On the disposal of all or part of a foreign subsidiary or an associate, the cumulative amount or proportionate share of the exchange difference is reclassified from equity to profit or loss as a reclassification item in the same period in which the gain or loss on disposal is recognized. In their own day-to-day accounting the Group companies translate transactions in foreign currencies into their own reporting or functional currency at the exchange rates prevailing on the dates of the transactions. At the end of the reporting period, the unsettled balances of foreign currency transactions are measured at the exchange rates prevailing at the end of the reporting period. Foreign exchange gains and losses arising from trade receivables are entered as adjustments of net sales and foreign exchange gains and losses related to trade payables are recorded as adjustments of purchases. Foreign exchange gains and losses arising from financial items are recorded as financial income and expenses. Financial assets and liabilities of Glaston have been classified as financial assets and liabilities at fair value through profit or loss, loans and receivables, available-for-sale financial assets and financial liabilities measured at amortized cost. A financial asset is derecognized from the statement of financial position when Glaston’s contractual rights to the cash flows from the financial asset expire or the financial asset is transferred to an external party and the transfer fulfils the asset derecognition criteria of IAS 39. A financial liability or a part of a financial liability is removed from the statement of financial position when the liability is extinguished, i.e. when the obligation specified in the contract is discharged or cancelled or expired. Derivative contracts are entered in the balance sheet at the time of acquisition at fair value and remeasured at fair value in the financial statements using the market prices at the end of the reporting period. Entries of the changes of derivatives are influenced by whether a derivative contract falls within the scope of hedge accounting. Derivatives that do not meet the hedge accounting criteria are financial assets and liabilities acquired for trading and entered at fair value through profit and loss, and whose changes of value are recognised immediately through profit and loss. At the end of reporting period 2017, Glaston had open foreign exchange forward contracts. At the end of reporting period 2016, Glaston had electricity forward contracts. When a hedging arrangement is entered into, the relationship between the item being hedged and the hedging instrument, as well as the objectives of the Group’s risk management are documented. The effectiveness of the hedging relationship is tested regularly and the effective portion is recognised, against the change in the fair value of the hedged item, in translation differences in equity, or in the revaluation reserve. The ineffective portion is recognised either in financial items or in other operating income and expenses, depending on its nature. If the hedging accounting criteria are met, cash flow hedge accounting under IAS 39 is applied with respect to foreign exchange derivatives. During the reporting period 2017, hedge accounting was used to hedge accounts receivable from projects. In 2016, hedge accounting was not used. If the hedge accounting criteria are not met, the result of hedging instruments when hedging a commercial foreign exchange risk are recognised in profit and loss within other operating income or expenses. Derivative instruments are included in the balance sheet in current assets and liabilities. Trade date accounting is used in recognising sales and purchases of derivatives. Other assets and liabilities at fair value through profit or loss can include mainly Glaston’s current investments, which are classified as held for trading, i.e. which have been acquired or incurred principally for the purpose of selling them in the near future. Other assets and liabilities at fair value through profit or loss are included in current assets or liabilities in the statement of financial position. Fair values of other financial assets and liabilities at fair value through profit or loss are estimated to approximate their carrying amounts because of their short maturities. Trade date accounting is used in recognizing purchases and sales of other assets and liabilities at fair value through profit or loss. Loans and receivables are assets which are not included in derivative assets. Loans and receivables arise when money, goods or services are delivered to a debtor. They are not quoted in an active market and payments related to them are either fixed or determinable. Loans and receivables granted by the Group are measured at amortized cost. Loans and receivables include loan receivables, trade receivables, other receivables and cash. They are included in current or non-current financial assets in accordance with their maturity. Loan and trade receivables falling due after 12 months are discounted, if no interest is charged separately, and the increase in the receivable which reflects the passage of time is recognized as interest income in financial income and expenses. Trade receivables are carried at the original invoice amount less the share of the discounted interest and an estimate made for doubtful receivables. Estimate made for doubtful receivables is based on a periodic review of all outstanding amounts. For example payment defaults or late payments are considered as indications of impairment of the receivable. Impairment losses of trade receivables are recorded in a separate allowance account within trade receivables, and the impairment losses are recognized in profit or loss as other operating expenses. If the impairment loss is final, the trade receivable is derecognized from the allowance account. If a payment is later received from the impaired receivable, the received amount is recognized in profit or loss as a deduction of other operating expenses. If no impairment loss has been recognized in allowance account and the impairment loss of the trade receivable is found to be final, impairment loss is recognized directly as deduction of trade receivables. Loan receivables are carried at the original amount less an estimate made for doubtful receivables. Estimate made for doubtful receivables is based on a review of all outstanding amounts at the end of the reporting period. For example payment defaults or late payments are considered as indications of impairment of the receivable. Impairment losses of loan receivables are recognized in profit or loss as financial expenses. If a payment is later received from the impaired receivable, the received amount is recognized in profit or loss in financial items. Available-for-sale financial assets are assets not classified as derivative assets, assets at fair value through profit or loss or loans and receivables. Glaston has classified other shares than shares in associates as available-for-sale financial assets. Glaston records changes in fair value of available-for-sale assets as other comprehensive income net of tax, and they are included in the fair value reserve in equity until the assets are disposed of, at which time changes in fair value are reclassified from equity into profit or loss items. Listed investments are measured at the market price at the end of the reporting period. Investments, for which fair values cannot be measured reliably, such as unlisted equities, are reported at cost or at cost less impairment. If the available-for-sale asset is impaired, impairment loss is recognized immediately in profit or loss. Trade date accounting is used in recognizing purchases and sales of available-for-sale financial assets. Available-for-sale assets are included in non-current assets in the statement of financial position. Cash and cash equivalents comprise cash and other financial assets. Other financial assets are highly liquid investments with remaining maturities at the date of acquisition of three months or less. Bank overdrafts are included in current interest-bearing liabilities. On initial recognition financial liabilities are measured at their fair values that are based on the consideration received. Subsequently, financial liabilities are measured at amortized cost using the effective interest method. Transaction costs are included in the acquisition cost. Financial liabilities measured at amortized cost include convertible bond, pension loans, loans from financial institutions, finance lease liabilities, debenture bond, trade payables and advances received. They are included in current or non-current liabilities in accordance with their maturity. Interest expenses are accrued for and mainly recognized in profit or loss for each period. If an asset is a qualifying asset as defined in IAS 23 Borrowing Costs, the borrowing costs that are directly attributable to the acquisition, construction or production of a qualifying asset are capitalized to the acquisition cost of the asset. The capitalization applies mainly to property, plant and equipment and intangible assets. At the end of 2017 and 2016 Glaston had no convertible bond. Net sales include the total invoicing value of products sold and services provided less discounted interest and sales tax, cash discounts and rebates. Foreign exchange differences arising from trade receivables are recognized as sales adjustments. Revenue is recognized after the risks and rewards of ownership of the goods have been transferred to the buyer. Normally, revenue recognition takes place at the date of the delivery in accordance with the delivery terms. Revenue from services rendered and reparation work made is recognized in profit or loss when the service has been rendered or the work has been finished. Revenue from tailor-made glass processing machine deliveries is recognized based on a milestone method with two milestones. Revenue from a glass processing machine is recognized when the machine delivery leaves the manufacturing plant and the revenue from the installation is recognized when the machine has been installed and is taken into use by the customer. The portion of the total estimated costs of the project, allocated to the revenue recognized, is recognized in profit or loss simultaneously with the revenue recognition. Costs which are attributable to a project, for which revenue is not yet recognized, are included in inventories as unfinished construction contracts. The Group has various pension plans in accordance with the local conditions and practices in the countries where it operates. The pension plans are classified as defined contribution plans or defined benefit plans. The payments to the schemes are determined by actuarial calculations. The contributions to defined contribution plans are charged to profit or loss in the period to which the contributions relate. In addition to defined benefit pensions, Glaston has other long-term employee benefits, such as termination benefits. These benefits are accounted for as post-employment benefits, and they are presented separately from defined benefit pensions. The obligations for defined benefit plans have been calculated separately for each plan. Defined benefit liabilities or assets, which have arisen from the difference between the present value of the obligations and the fair value of plan assets, have been entered in the statement of financial position. The defined benefit obligation is measured as the present value of the estimated future cash flows using interest rates of government securities that have maturity terms approximating the terms of related liabilities or similar long-term interests. For the defined benefit plans, costs are assessed using the projected unit credit method. Under this method the cost is charged to profit or loss so as to spread over the service lives of employees. According to the standard Glaston records actuarial gains and losses in other comprehensive income. Only current and past service costs as well as net interest on net defined benefit liability can be recorded in profit or loss. Other changes in net defined benefit liability are recognized in other comprehensive income with no subsequent recycling to profit or loss. Glaston Corporation has share-based incentive plans for the Group’s key personnel. Depending on the plan, the reward is settled in shares, cash, or a combination thereof, provided that the key employee’s employment or service with the Group is in force and the criteria for the performance is fulfilled. If a key employee’s employment or service with the Group ends before the payment of a reward, the main principle is that no reward will be paid. The granted amount of the incentive plans settled in shares is measured at fair value at the grant date, and the cash-settled part of the plans is measured at fair value at the reporting or payment date. The expenses arising from the incentive plans are recognized in profit or loss during the vesting periods. The cash-settled portion of the incentive plans is recorded as a liability in the statement of financial position, if it has not been paid, and the portion settled in shares is recorded in retained earnings in equity net of tax. Glaston records the personnel costs arising from the share-based incentive plans to the extent it is liable to pay them. The share-based incentive plans are described in Note 29 to the consolidated financial statements. The consolidated financial statements include current taxes, which are based on the taxable results of the group companies for the reporting period together with tax adjustments for previous reporting periods, calculated in accordance with the local tax rules, and the change in the deferred tax liabilities and assets. Income taxes which relate to items recognized in other comprehensive income are also recognized in other comprehensive income. The Group’s deferred tax liabilities and assets have been calculated for temporary differences, which have been obtained by comparing the carrying amount of each asset or liability item with their tax bases. Deferred tax assets are recognized for deductible temporary differences and tax losses to the extent that it is probable that taxable profit will be available, against which tax credits and deductible temporary differences can be utilized. In calculating deferred tax liabilities and assets, the tax rate used is the tax rate in force at the time of preparing the financial statements or which has been enacted by end of the reporting period. Principal temporary differences arise from depreciation and amortization of property, plant and equipment and intangible assets, defined benefit plans, recognition of net assets of acquired companies at fair value, measuring available-for-sale assets and derivative instruments at fair value, inter-company inventory profits, share-based payments and confirmed tax losses. Glaston includes in items affecting comparability mainly items arising from restructuring and structural changes. They can include expenses arising from personnel reduction, product portfolio rationalization, changes in production structure and from reduction of offices. Impairment loss of goodwill is also included in items affecting comparability. Items affecting comparability are recognized in profit or loss in the income or expense category where they belong by their nature and they are included in operating result. In its key ratios Glaston presents also comparable operating result. If a non-comparable expense is reversed for example due to changes in circumstances, the reversal is also included in in items affecting comparability. In addition, exceptionally large gains or losses from disposals of property, plant and equipment and intangible assets as well as capital gains or losses arising from group restructuring are included in items affecting comparability. Goodwill represents the excess of the acquisition cost over fair value of the assets less liabilities of the acquired entity. Goodwill arising from the acquisition of foreign entities of acquisitions made after 1 January 2004, is treated as an asset of the foreign entity and translated at the closing exchange rates at the end of the reporting period. Goodwill arising from the acquisitions of foreign entities made before 1 January 2004, has been translated into euros at the foreign exchange rate prevailing on the acquisition date. Acquisitions made after 1 January 2004, have been recognized in accordance with IFRS 3. Purchase consideration has been allocated to intangible assets, if they have met the recognition criteria stated in IAS 38 (Intangible Assets). Acquisitions made before 1 January 2004, have not been restated to be in accordance with IFRS-standards. The revised IFRS 3 standard has been applied for business combinations made after 1 January 2010. In accordance with IFRS 3 Business Combinations, goodwill is not amortized. The carrying amount of goodwill is tested annually for impairment. The testing is made more frequently if there are indications of impairment of the goodwill. Any possible impairment loss is recognized immediately in profit or loss. Glaston’s goodwill has been allocated to the cash generating units of the group. Intangible asset is recognized in the balance sheet if its cost can be measured reliably and it is probable that the expected future economic benefits attributable to the asset will flow to the Group. Intangible assets are stated at cost and amortized on a straight line basis over their estimated useful lives. Intangible assets with indefinite useful life are not amortized, but tested annually for impairment. Acquired intangible assets recognized as assets separately from goodwill are recorded at fair value at the time of the acquisition of the subsidiary. Research costs are expensed as incurred. Expenditure on development activities, whereby research findings are applied to a plan or design for the production of new or substantially improved products, is capitalized if the product is technically and commercially feasible and the Group has sufficient resources to complete development and to use or sell the intangible asset. Amortization of the capitalized expenditure starts when the asset is available for use. The intangible assets not yet available for use are tested annually for impairment. Research expenditure and development expenditure recognized in profit or loss are recognized in operating expenses. Borrowing costs are capitalized as part of the acquisition cost of intangible assets if the intangible assets are qualifying assets as defined in IAS 23 Borrowing Costs. In 2017 or 2016 Glaston did not have any qualifying assets. Property, plant and equipment are stated at historical cost less accumulated depreciation and impairment losses. The cost of self-constructed assets includes the cost of materials, direct labour and an appropriate proportion of production overheads. When an asset consists of major components with different useful lives, they are accounted for as separate items. Assets from acquisition of a subsidiary are stated at their fair values at the date of the acquisition. Depreciation is recorded on a straight-line basis over expected useful lives. Land is not depreciated since it is deemed to have indefinite useful life. Gain on the sale of property, plant and equipment is included in other operating income and loss in operating expenses. The costs of major inspections or the overhaul of property, plant and equipment items, that occur at regular intervals and are identified as separate components, are capitalized and depreciated over their useful lives. Ordinary maintenance and repair charges are expensed as incurred. Borrowing costs are capitalized as part of the acquisition cost of tangible assets if the tangible assets are qualifying assets as defined in IAS 23 Borrowing Costs. In 2017 or 2016 Glaston did not have any qualifying assets. A discontinued operation is a segment or a unit representing a significant geographical area, which has been disposed of or is classified as held for sale. The profit for the period attributable to the discontinued operation is presented separately in the consolidated income statement. Also post-tax gains and losses recognized on the measurement to fair value less costs to sell or on the disposal of the asset or disposal group are presented in the income statement as result of discontinued operations. Comparative information has been restated. Non-current assets or disposal groups are classified as held for sale and presented separately in the statement of financial position if their carrying amounts will be recovered principally through a sale transaction rather than through continuing use. In order to be classified as held for sale the asset or disposal group must be available for immediate sale in its present condition and the sale must be highly probable. In addition, the sale should qualify for recognition of a complete sale within one year from the date of the classification. An asset classified as held for sale is measured at the lower of its carrying amount and fair value less costs to sell and it is not depreciated or amortized. Also liabilities of a disposal group classified as held for sale are presented separately from other liabilities in the statement of financial position. IFRS 5 Non-current Assets Held for Sale and Discontinued Operations is not applied retrospectively if the valuations and other information required by the standard were not obtainable at the time the classification criteria were met. Annual impairment tests for goodwill are performed during the fourth quarter of the year. If there is, however, an indication of impairment of goodwill, the impairment tests for goodwill are performed earlier during the financial year. Other assets of the Group are evaluated at the end of each reporting period or at any other time, if events or circumstances indicate that the value of an asset has been impaired. If there are indications of impairment, the asset’s recoverable amount is estimated, based on the higher of an asset’s fair value less costs to sell and value in use. An impairment loss is recognized in profit or loss whenever the carrying amount of an asset or cash generating unit exceeds its recoverable amount. If subsequently recording the impairment loss a positive change has occurred in the estimates of the recoverable amount, the impairment loss made in prior years is reversed no more than up to the value which would have been determined for the asset, net of amortization or depreciation, had not impairment loss been recognized in prior years. For goodwill, a recognized impairment loss is not reversed. Cash flow projections have been calculated on the basis of reasonable and supportable assumptions. They are based on the most recent financial plans and forecasts that have been approved by management. Estimated cash flows are used for a maximum of five years. Cash flow projections beyond the period covered by the most recent plans and forecasts are estimated by extrapolating the projections. The discount rate is the weighted average cost of capital. It is a pre-tax rate and reflects current market assessments of the time value of money at the time of review and the risks related to the assets. Impairment of assets has been described in more detail in Note 12 to the consolidated financial statements. Inventories are reported at the lower of cost and net realisable value. Cost is determined on a first in first out (FIFO) basis, or alternatively, weighted average cost. Net realisable value is the amount which can be realized from the sale of the asset in the normal course of business, after allowing for the estimated costs of completion and the costs necessary to make the sale. The cost of finished goods and work in process includes materials, direct labour, other direct costs and a systematically allocated appropriate share of variable and fixed production overheads. As Glaston’s machine projects are usually not considered to be qualifying assets as defined in IAS 23, borrowing costs are not included in the cost of inventory in normal machine projects. Used machines included in the inventory are measured individually so that the carrying amount of a used machine does not exceed the amount that is expected to be received from the sale of the machine. In this measurement the costs arising from converting the used machine back to saleable condition are taken into account. Prototypes of new machines included in inventory are measured at the lower of cost and net realisable value. Government or other grants are recognised in profit or loss in the same periods in which the corresponding expenses are incurred. Government grants received to acquire property, plant and equipment are reduced from the acquisition cost of the assets in question. Glaston Group has entered into various operating leases, the payments under which are treated as rentals and charged to profit or loss over the lease term. Leases of property, plant and equipment where Glaston has substantially all the rewards and risks of the ownership, are classified as finance leases. Finance leases are capitalized at the inception of the lease at the lower of the fair value of the leased asset or the present value of the minimum lease payments. Lease payments are allocated between liability and finance charges. The lease liabilities net of finance charges are included in interest-bearing liabilities, with the interest element charged to profit or loss over the lease period. Property, plant and equipment acquired under finance lease contracts are depreciated over the shorter of the useful life of the asset or the lease period. A provision is recognized when as a consequence of some previous event there has arisen a legal or constructive obligation, and it is probable that this will cause future expenses and the amount of the obligation can be evaluated reliably. A restructuring provision is booked only when a detailed and fully compliant plan has been prepared for it and implementation of the plan has been started or notification of it has been made known to those whom the arrangement concerns. The amount recognized as a provision is the best estimate of the expenditure required to settle the present obligation at the end of the reporting period. If the time value of money is material, provisions are discounted. A provision for warranties is recognized when the underlying products are sold. The provision is estimated on the basis of historical warranty expense data. Warranty provision is presented as non-current or current provision depending on the length of the warranty period. The amount and probability of provision requires management to make estimates and assumptions. Actual results may differ from these estimates. In June 2015, Glaston Corporation completed the sale of the pre-processing machines business and reorganized its business and reporting structure. As a result of the sale, Glaston has re-evaluated its reporting segments and, as of 1 July 2015, has combined the operating segments, Machines and Services, into a single reporting segment. The remaining business consists of the manufacture and sale of heat treatment glass machines as well as the service operations for these machines. The reportable segment applies Glaston Group’s accounting and measurement principles. The reportable segments consist of operating segments, which have been aggregated in accordance with the criteria of IFRS 8.12. Operating segments have been aggregated, when the nature of the products and services is similar, the nature of the production process is similar, as well as the type or class of customers. Also the methods to distribute products or to provide services are similar. Glaston follows the same commercial terms in transactions between segment as with third parties. The reportable segment is disclosed in more detail in the Note 5 to the consolidated financial statements. The preparation of financial statements in conformity with IFRS requires management to make estimates and assumptions that affect the reported amounts of assets and liabilities, the disclosure of contingent assets and liabilities at the end of the reporting period and the recognized amounts of revenues and expenses during the reporting period. Actual results may differ from these estimates. In addition, management uses judgment in applying the accounting principles and in choosing the applicable accounting policies, if IFRS allow alternative methods. The following items include critical accounting estimates: impairment testing of assets; estimated fair values of property, plant and equipment and intangible assets acquired in an acquisition and their estimated useful lives; useful lives of other intangible assets and property, plant and equipment; future economic benefits arising from capitalized development cost; measurement of inventories and trade and loan receivables; recognition and measurement of deferred taxes; estimates of the amount and probability of provisions and actuarial assumptions used in defined benefit plans. The critical accounting estimates and judgments are described in more detail in Note 2 to the consolidated financial statements. Dividends and/or return of capital proposed by the Board of Directors are not recorded in the financial statements until they have been approved by the shareholders at the Annual General Meeting. Treasury shares acquired by the company and the related costs are presented as a deduction of equity. Gain or loss on surrender of treasury shares are recorded in reserve for invested unrestricted equity net of tax. Basic earnings per share are calculated by dividing the net result attributable to owners of the parent by the weighted share-issue adjusted average number of shares outstanding during the year, excluding shares acquired by the Group and held as treasury shares. Glaston’s order book includes the binding undelivered orders of the Group at the end of the reporting period. Orders for new machines and machinery upgrades are recognized in the order book only after receiving a binding agreement and either a down payment or a letter of credit. Glaston’s orders received include the binding orders received and recognized in the order book during the reporting period as well as net sales of the service business, including net sales of spare parts and tools. Machine upgrades, which belong to the service business, are included in orders received based on the binding orders received and recognized in the order book during the reporting period. Glaston’s Disclosure Policy describes the principles and procedures by which the company communicates with the capital markets. Glaston aims to ensure that all parties operating in the market have immediate and simultaneous access to essential and adequate information in order to determine the value of Glaston’s financial instrument. As a listed company, Glaston complies with EU regulations, Finnish laws, Nasdaq Helsinki Ltd.’s Stock Exchange Rules and Guidelines and the regulations issued by the Finnish Financial Supervision Authority (FSA) and valid internal guidelines confirmed by Glaston.